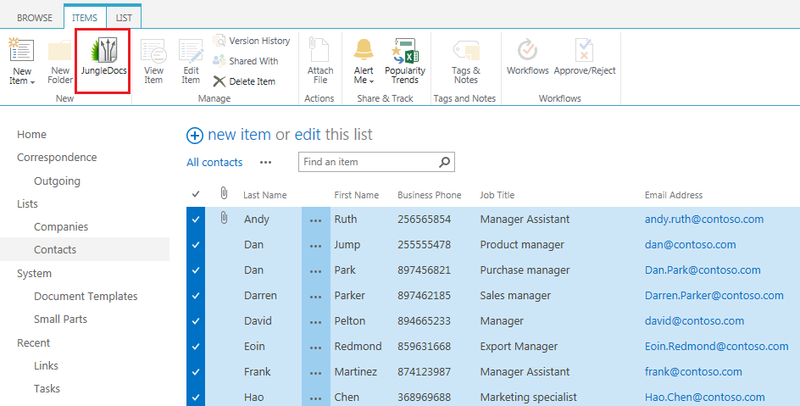 Ever wanted to export your SharePoint lists to Word? JungleDocs comes with an Export list to Word rule. In this tutorial, you will learn how to use it. To use the Export list to Word rule, select a few items in your list and launch JungleDocs from the ribbon. You will automatically be taken to the JungleDocs dashboard. Click Export list to Word. You will be given a document to download. JungleDocs automatically reads the selected SharePoint list view configuration and builds a table based on it. 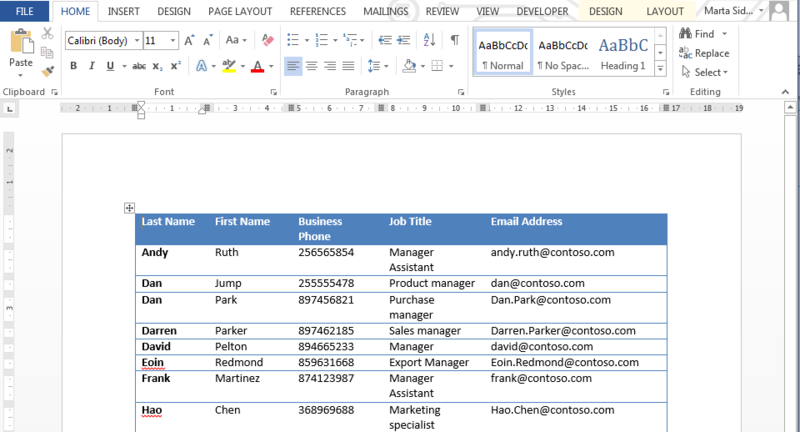 It takes view columns and puts them into report table columns so that we can see all of the created columns and all of the selected items presented in a table. Note: Microsoft Word tables have a limitation of 63 columns. If you use list view with more columns, the document will become corrupted. For JungleDocs 3.5 and earlier versions: Find Edit template link and click it. For JungleDocs 3.6: For particular lists, if you want to edit Report template you can enable template management and use a custom template. 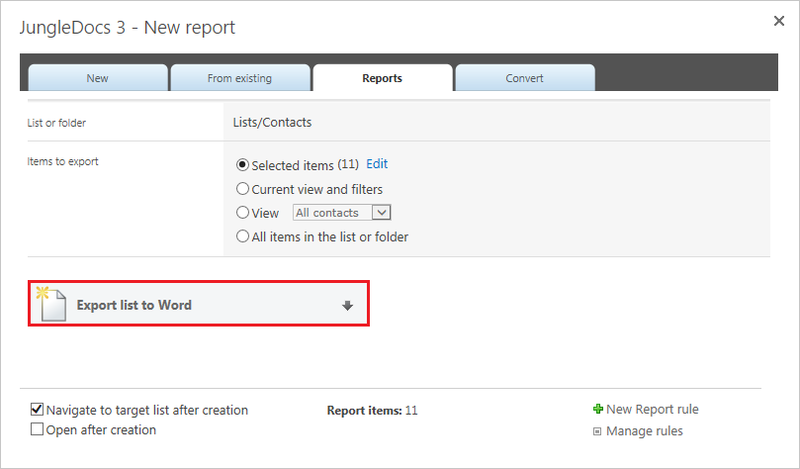 The default report template can now be easily changed for all lists in the site collection. It can be found under Site collection settings -> EnovaPoint JungleDocs Settings.